Our website spread its wings by supporting the launch of a new charity dedicated to making citizen journalism available to everyone. 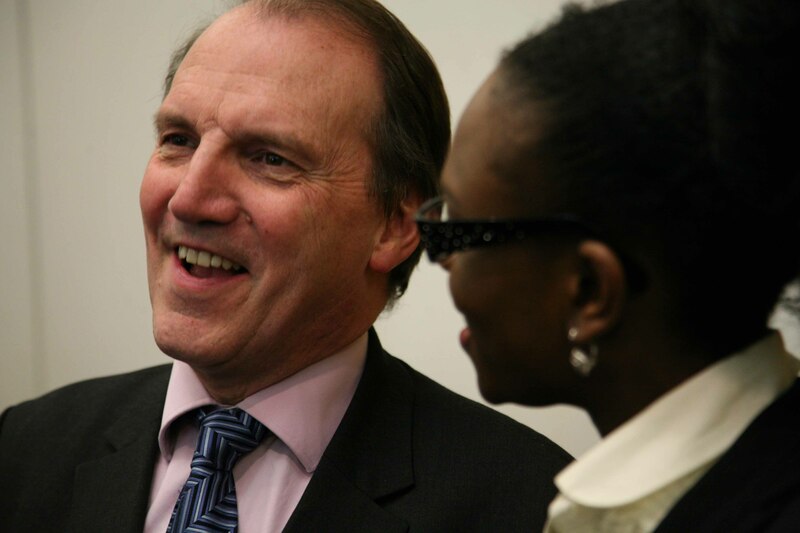 The frontier-busting project immediately won broad-based support including from British government minister David Lammy MP, leading Liberal Democrat Simon Hughes MP and a host of key people in the press, broadcasting and voluntary sector. At the event for the new Citizen Journalism Educational Trust (CJET), at the UK parliament, in London, in March 2009, Lammy, the minister for innovation, universities and skills, said: "I am here as host tonight because I am passionate about the power of the internet to challenge the establishment and break down barriers. Before, you either consumed the news or made it. Now many of us have the chance to do both." 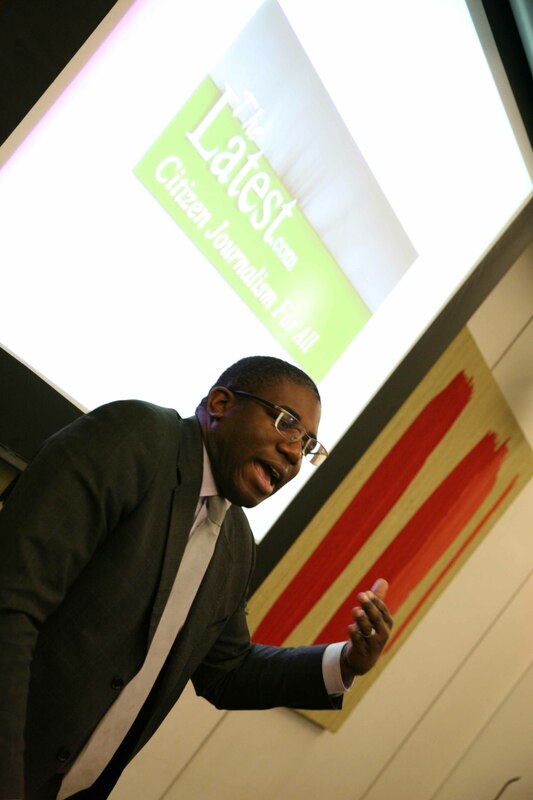 He added: "The Latest is a 21st century success story and CJET has the potential to bridge the gap by creating spaces where ordinary citizens can write, exchange and debate ideas; making the news, but within a wider space with journalistic standards at its heart." Top broadcasters also welcomed CJET. Matthew Eltringham, BBC Assistant Editor of Interactivity (user generated content) told us: "This looks like a great initiative." And Rob Kirk, editorial development manager of Sky Tv, said: "Initial reaction on seeing the website: a fresh source of ideas and information for Sky News!" "The site looks good. I hope it goes from strength to strength," commented another guest at the launch, Robin Elias, managing editor of ITV News. Citizen journalists have been shaping and breaking the news from the terrorist attacks of 9/11 in America and Britain's 7/7, the Asian tsunami and, more recently, the avalanches in France and Mumbai attacks reported on The-Latest with eyewitness accounts from our man in India, Sumantra Maitra.There have been plenty of good news stories as well like the safe landing of the US passenger jet in the Hudson River. The-Latest's editor at large Heidi Kingstone has filed gripping dispatches from Bangladesh. Former British Culture Secretary, the Rt Hon Lord Chris Smith, said: "In these times of public scepticism about politics, government and journalism, enabling citizens to find a better connection once again with the world of media and current affairs is incredibly important. This new Trust will help to do precisely that." 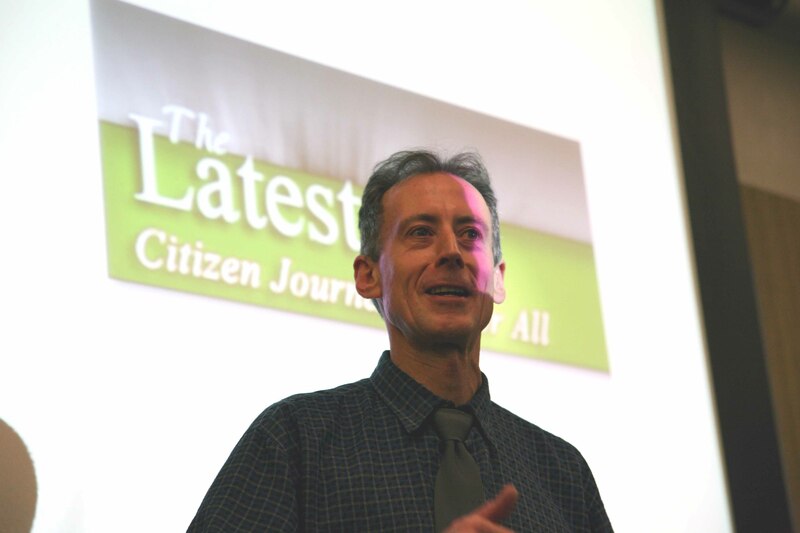 Human rights campaigner Peter Tatchell commented: "This style of citizen journalism is a very effective way to beat the stranglehold of the big-monied media moguls and the often narrow, superficial, managed and sexed-up news agenda of much of the mainstream media." Alongside this, blogging is now an established part of life in Britain. With everyone from politicians to the postie sharing their view of the world and commenting on the day's events. Lammy observed: "The world is changing. Look how rapidly we are shifting, consuming and disseminating information. It's an exciting time where the informed citizen is more in control of more information than ever before. And user generated content has become a staple of big media news gathering." Because of this we are now seeing a surge in citizen activism led online as seen by MoveOn.org and Obama's campaign in the US and now with the Hope not Hate campaign against the racist British National Party in the UK. Lammy warned: "So we have these two trends, at once more personal, more informed, more diverse; but also at the same time we run the risk of being swept up by rumours becoming facts overnight leading us to be more cynical. 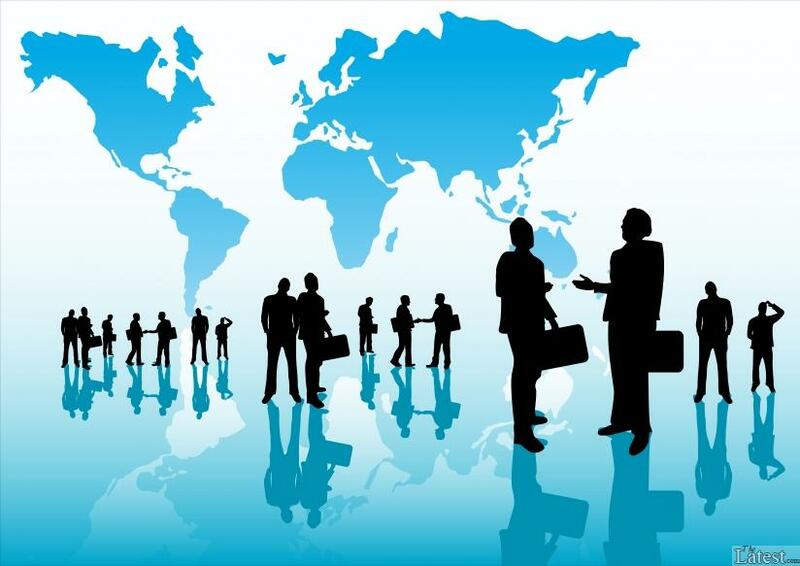 What we yearn for is the quality of the old world mixed with the buzz of the new." "Taking the chance to train people and mentor them in these skills is so powerful — breaking open the tool box of journalism could revitalise our local communities shining a powerful light on stories and issues that the national and regional media has forsaken in its pursuit of celebrity and sensationalism." On The-Latest, new members are supported by professional journalists, who can help edit their content and provide advice to the contributors, many of whom have never before had this sort of creative opportunity. This new model of online journalism on a bigger scale can be seen with the Huffington Post in the US. Where it has to be said with a lot of money at her disposal, Arianna Huffington created a space and a brand that is challenging the very foundations of traditional newspaper journalism. It clearly aims to be something more than the blog, more than just a place to throw out any idea. It has values, an identity and an editorial policy. All of which is vital if we are to truly change how people consume information - breaking open the old monopolies and finally create quality spaces for the exchange of information and ideas. Lammy concluded: "For us as progressives, it is also a chance to reclaim news and the web for progressive ends. It is a chance to get out there and tell the stories we have always wanted to tell. Before we always had the excuse that no one wanted to talk about the difficult issues, let me say we no longer have that excuse. Now the platforms are there, the readers are hungry to know more and I know there is a passionate group of writers are ready to post." "What I hope we are a part of launching here tonight is the next wave of integrating the power and vitality of citizen journalism, with some of the values and quality of traditional media. I wish this project the best of luck and urge everyone to get behind it whether as a writer or a supporter." * CJET has begun collecting funds to do its important work. See the donate button at the bottom right of the home page of the CJET website. Charity number: 1137691. 5 Responses to "Accolades for CJET and The-Latest from celebrities"
It was a fantastic function and one I&#39;m proud to have attended. My articles will continue to flow and I look forward to throwing my (albeit heavy) weight behind The-Latest.